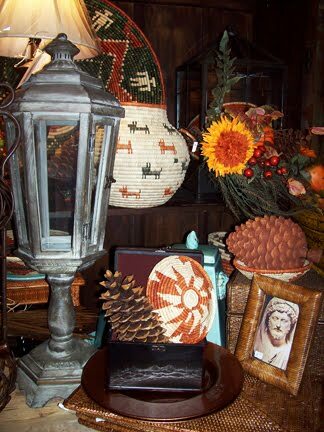 Love this standing pedestal hurricane, horn frame, and Navajo-inspired baskets. So wonderful for Fall! Do drop by and see all of our new and wonderful items that we have got in!